Every fall, we experience that first moment that reminds us of the winter-related challenges that are right around the corner. Whether you’re unexpectedly shoveling snow well before Thanksgiving or bundling up with an extra sweater and boots, that cold blast is a good reminder to truly prepare your home for winter, or “winterize it,” while there’s still time. If you need extra incentive to get started, the 2015 Farmers’ Almanac predicts “copious amounts of snow and rain” over the eastern third of the country. In the Atlantic Seaboard during January and February the Almanac is predicting “bouts of heavy snow and strong winds.” If you’re curious what the forecast is for your area, check out the Farmers’ Almanac 2015 Long-Range Weather Forecast. Following these tips to winterize your home will keep the heat in and the cold out, saving you money on your energy bills. Plus, giving your home some TLC before winter sets in will prevent some nasty mid-winter surprises. Seasonal equipment all around your home needs to be addressed. Fuel should be drained from lawn mowers, leaf blowers and chain saws and they should be fully put away. Any outdoor furniture and barbecues should be covered and stored in a protected area. Pots, containers and planters should be emptied out. Believe it or not, soil left in clay pots outside can freeze, causing the pots to crack. Garden hoses should be disconnected and stored. If your home has a separate shutoff for external spigots, turn it off and drain the water from those spigots. If you have a sprinkler system and your winters are extreme, consider calling a professional to blow out any leftover water in the underground lines, suggests Bob Vila. He shares other tips in Bob Vila’s 5 “Must Do” November Projects. Check all your snow removal equipment and make sure it is ready to go. Taking the time now to make sure your equipment is in working order will prevent problems during or after a storm. Clean out gutters. Leaves, sticks and other debris from gutters all must go, leaving room for melting snow and ice to flow freely. This helps stop ice damming, which happens when water cannot drain through the gutters and instead seeps into the house, causing water to drip from the ceiling and walls. Also consider installing gutter guards. Gutter guards prevent debris from entering the gutter and interfering with the flow of water away from the house and into the ground. You can also consider installing a deicing system from WarmlyYours Radiant Heating. 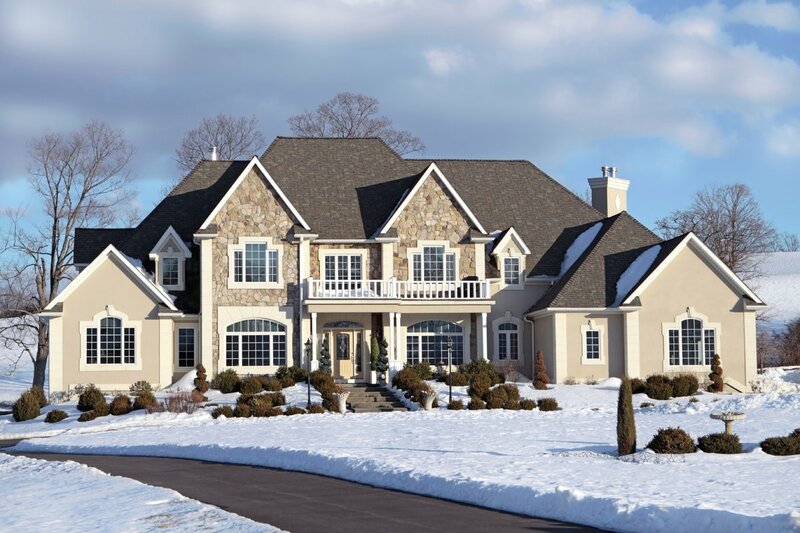 Deicing cable protects your entire roof from the dangerous cycle of freezing/refreezing snow and ice. It helps melt snow and ice and channel the water safely away before it can cause damage to your roof or unsafe walking conditions on the ground and walkways below. Installing a snow-melting system from WarmlyYours will enhance the winter safety of your walkways and driveways. The extra investment helps eliminate the need for snow and ice removal and creates a safer driveway environment. 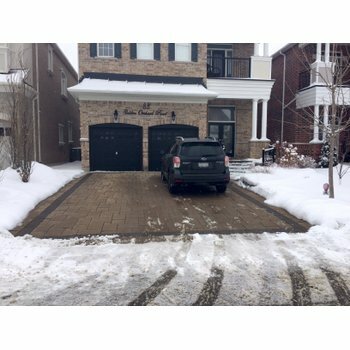 The snow-melting systems can be installed directly in concrete, asphalt or in mortar underneath pavers to keep your driveway (and patios, walkways,or stairs) both ice- and snow-free, creating greater safety and peace of mind during the winter months. It also helps protect the investment you’ve made in your driveways and walkways, as these systems also help reduce the weathering and wear and tear that comes from shovels, snow plows and deicing solutions during the winter. 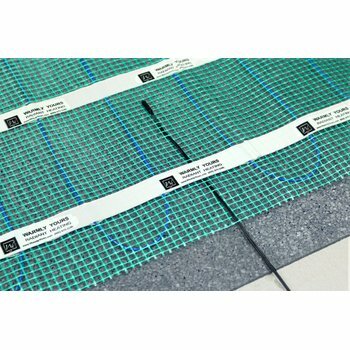 The systems from WarmlyYours are available in cable format to allow for maximum flexibility or in mat format for quick and easy installation. Standard homeowners and renters policies will cover some winter-related disasters such as burst pipes, ice dams and wind damage caused by heavy ice or snow as well as fire-related losses. While coverage for some types of flooding and water damage will be covered under your homeowners insurance, it is very prudent to review your policy for comprehensive coverage. For example, flooding related to snow melting can overburden sewer systems, causing raw sewage to back up into the drains in your home. In a word, yuck. Sewer back-up is not covered under a typical homeowners or renters insurance policy, nor is it covered by flood insurance. This type of coverage must be purchased either as a separate product or as an endorsement. So, review your policy as a part of winterizing your home. You’ll be glad you did. 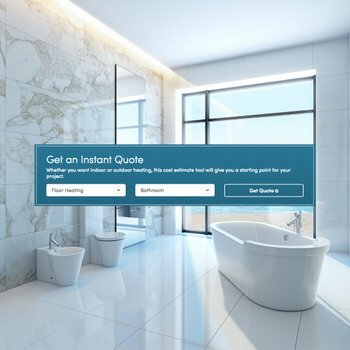 According to a press release from the Insurance Information Institute (III), water damage and freezing account for almost 22 percent of all homeowners insurance claims. Winter storms are the third-largest cause of catastrophe losses, behind only hurricanes and tornadoes, causing $1.9 billion in insured losses in 2013, up dramatically from $38 million in 2012, according to Munich Re. Those numbers emphasize how important it is to invest some time before winter into preparing and making sure you have the appropriate equipment, such as snow-melting and deicing systems, to protect your home and your family during the harsh months of winter. Ice, snow and wind could cause weak trees or branches to break and damage your home or car, or injure someone walking by your property. Broken stairs and banisters can become lethal when covered with snow and ice. Use that first blast of cold to take action. You’ll keep the focus on the holidays and time with friends and family instead of any negative effects that come from being unprepared.